Having your home appraised by a qualified professional is an essential part of any sale process. Having your home appraised by a qualified professional is an essential part of any sale process. Banks and lenders require that these third-party assessments are completed to ensure the value of the home. Additionally, having the value of your home appraised can allow you to take an objective approach to make any updates and repairs long before you even consider selling. Knowing what will and what won’t increase the value of your home is invaluable knowledge that can help you avoid financial mistakes. That said, what exactly is an appraiser looking for when they visit your home? When it comes to houses, what’s on the outside matters considerably. If your roof, walls, and foundation are showing signs of wear and damage the value of your home will immediately be decreased. Unlike aesthetic interior problems or a small lot, issues with these three features can quickly escalate to make a home uninhabitable. If these three features are considerably damaged, it could cause the lender to pull out as the home will not have enough equity. Larger homes with larger lots are naturally more valuable. While size may not trump location or quality, it can be a deciding factor in the overall appraisal. Having a higher number of bedrooms and bathrooms will improve your value, as will having space on your lot to expand if needed. 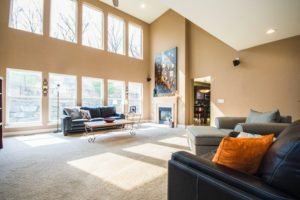 Interiors have a lesser impact on your home’s value than the roof and exterior, but they still play an essential role. Items like flooring, walls, plumbing, electrical, kitchen, bathrooms, doors, and windows all affect value as they are all essential. Appliances and even light fixtures will all be evaluated to see what works and what doesn’t. If you have made any improvements to the home in the time, you have lived there these will be taken into account. Because newer updates ensure that the lifespan of the items in the house will be longer, many buyers will be enticed to pay more. While not all improvements result in a significant value increase, they can be noted and help appeal to potential buyers. If your home has added features, they may also be included in the appraisal. Well maintained landscaping, pools, fireplaces, fencing, garages, and security systems are all items that can improve your home’s value. This entry was posted on Friday, January 25th, 2019	at 9:13 pm	and is filed under Residential Sales	. You can follow any responses to this entry through the RSS 2.0	feed. Both comments and pings are currently closed.